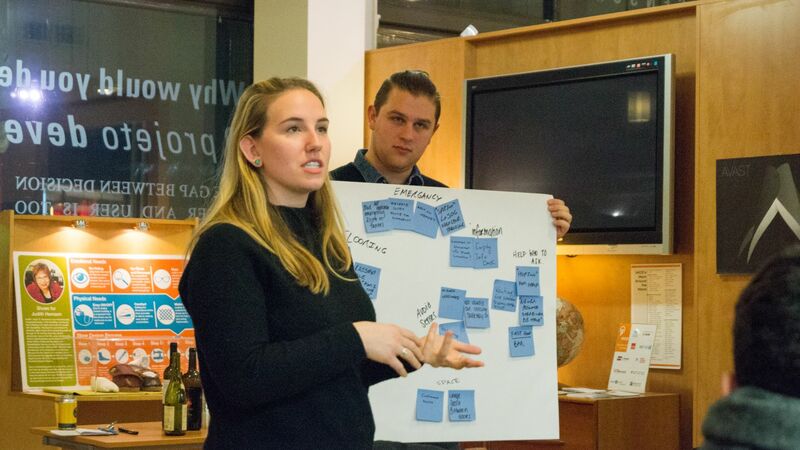 We had an amazing turn out at the Challenge: Design event on January 22nd here at IHCD! Close to forty participants hailed from a variety of sectors; student and full-time designers, individuals in the public health sector, occupational therapy students, marketing specialists, industrial and mechanical engineers, and others who had simply heard about the event and wanted to learn more! We began Challenge: Design by coming together and meeting the user-experts in attendance. User-experts are individuals who have developed expertise by means of their lived experience in dealing with the challenges of the environment due to a physical, sensory or cognitive functional limitation. We then split up into teams, with teams including one user-expert, one group facilitator, and 4-5 participants. 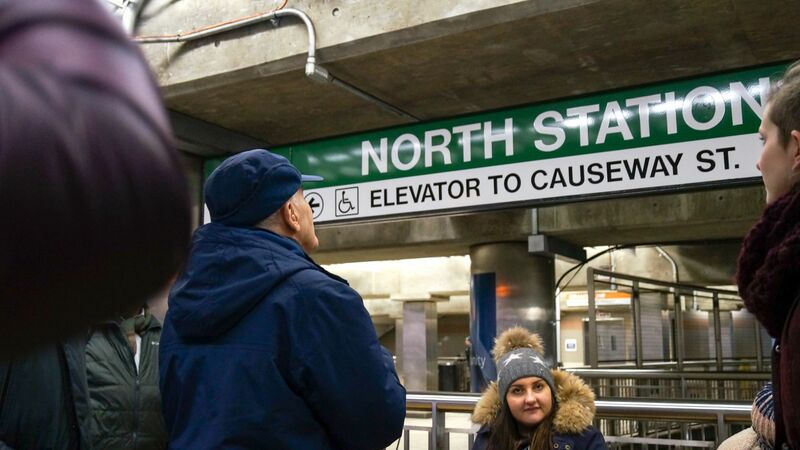 Our task was to navigate the built environment of the North Station Commuter Rail and MBTA stations. 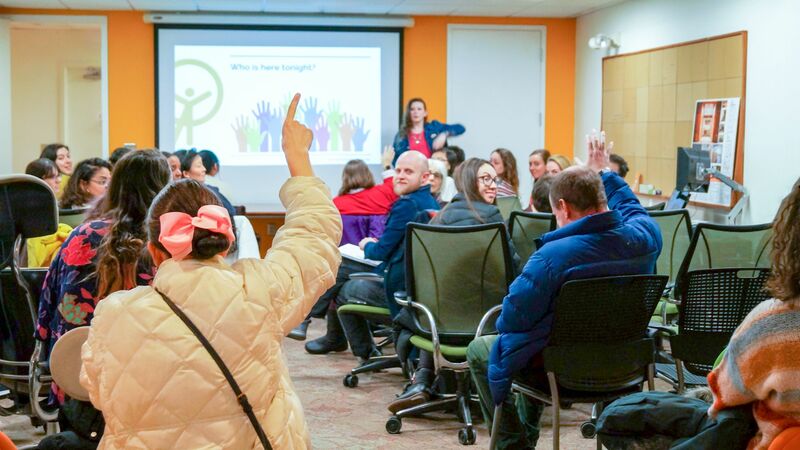 Each team was tasked with questions such as, “What would you do if an emergency situation were to occur?”, “What is the easiest route from the orange line tracks to the commuter rail trains?”, and “How comfortable are you utilizing this space?”. 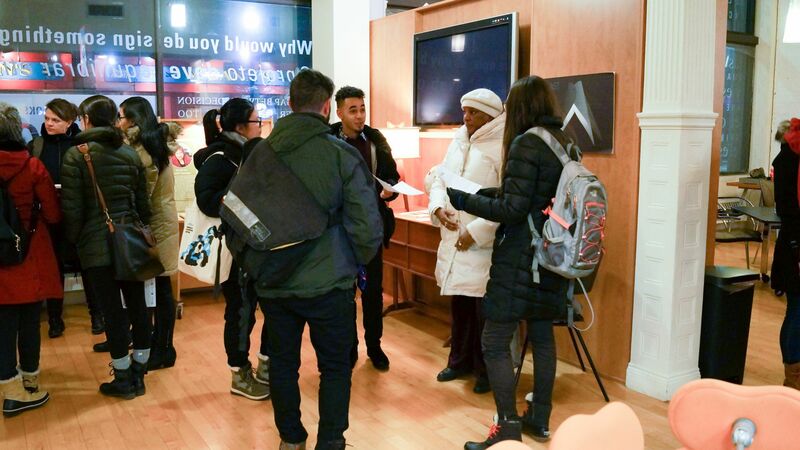 Participants had the opportunity to experience the complex issue of navigating a busy transportation system through the unique lens of their user-expert. Back at IHCD, teams split up to enjoy some dinner and discuss their findings. User-experts shared their experiences in not just transportation systems, but across many environments that seem to have been built without their needs in mind. Participants then heard from Jan Carpman, Director of Wayfinding at IHCD, about the benefits that inclusive design can bring to all environments. Finally, both user-experts and participants shared their findings with the larger group. 5 keys areas came into focus throughout the discussion: physical, information, communication, attitude, and policy difficulties were apparent in the MBTA and commuter rail stations. 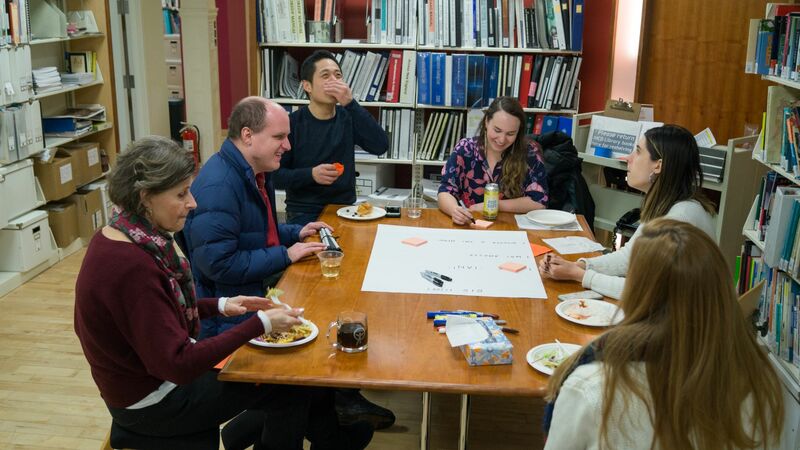 The group discussed what amazed them about their findings, and their musings on how inclusive design can be incorporated to enhance the experience of individuals of varying abilities. During the large group discussion at IHCD, the consensus among the small groups was very similar. Inconsistencies in signage seemed to be the biggest problem every group encountered during the survey. The groups found some areas scarce with signage, while other areas were overpopulated with it. It was also concluded that there was a severe lack of audible orientation clues and that advertisements dominated some areas where signage should have been the focus. In addition, one user-expert stated that the voice used for the Downeaster train was “significantly worse” than that of the Commuter Rail and additional user experts commented on the stations being over whelming and over stimulating to the senses. We were so honored to meet everyone who came and shared! We can’t wait to see even more friendly faces at our future events. Until then: look out for us on social media to see what we’re up to!